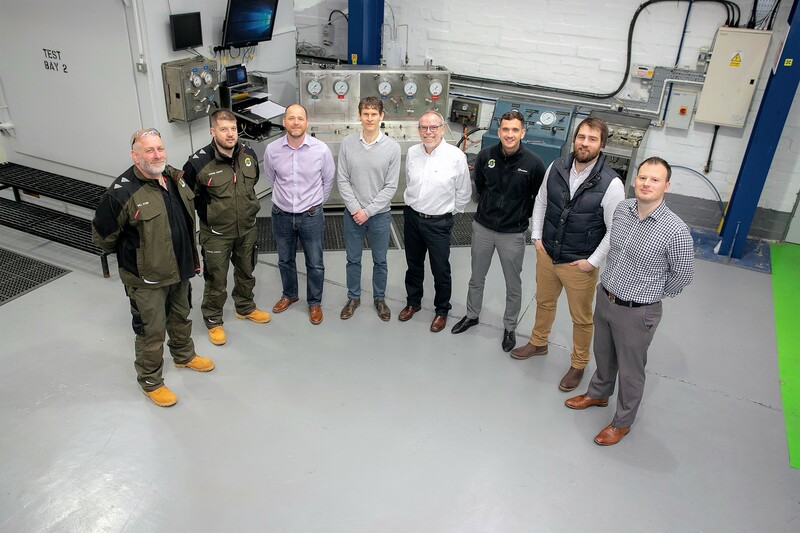 An Aberdeenshire deepwater safety valve firm has announced increased staff numbers and an expansion of its facilities due to a seven-figure investment in the business. Dyce-based Interventek confirmed last night it has ploughed £750,000 into a new technology development and test centre and added six new workers to its roster. The subsea oil and gas engineering firm now employs a total of 17 people from its north-east headquarters. Interventek also announced increased business in the Gulf of Mexico and the Caspian Sea. In October 2018, the firm revealed it had secured an order in excess of £1 million for its Revolution in-riser shear and safety valve from Louisiana-based Professional Rental Tools (PRT Offshore). Interventek’s new north-east workshop has been expanded to create a technology development and test centre with a 5,000 square foot space. The centre includes an overhead crane and the most up-to-date pressure and temperature test equipment. Gavin Cowie, managing director at Interventek, said: “With the global market for our subsea technology worth in the region of half a billion pounds and the need for safer and more cost effective well intervention rising, this is a prime time for our business to be positioned to work with all types of partners from global IOCs to dynamic independents and forward-thinking service providers. “Our new team members, with their incredibly strong design and engineering skillset, are a valuable asset to the company. “They will help to ensure we are fully prepared for the future as we look to roll-out our portfolio of shear-seal valve designs as well as pursue our ambition for the delivery of complete subsea intervention safety systems. Interventek was formed in 2014 by Mr Cowie and technical director John Sangster. Mr Cowie and Mr Sangster met while working for well control firm Enovate Systems and offshore subsea company Expro. In 2016, Interventek was awarded the Emerging Technology Award at the Society of Petroleum Engineers (SPE) Offshore Achievement Awards (OAA). The firm was recognised for its ‘shear and seal’ Revolution Valve, able to provide “significant cost-savings” to offshore oil and gas opperators. Alongside working with PRT Offshore, Interventek and are in the process of securing a deal with a “large” oil and gas firm.